Carol Nolan has quit Sinn Féin after she opposed its policy on abortion, saying she no longer has a place in a party that she claims does not respect the pro-life views of members. 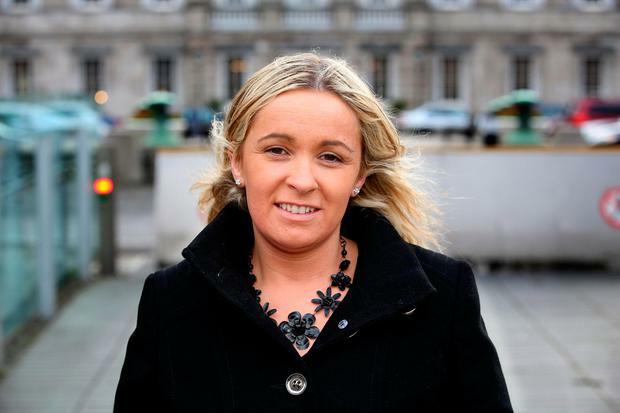 The Offaly TD had been suspended for three months after she voted against the holding of the abortion referendum. Last night, Ms Nolan announced her resignation from the party but said she would stay on in the Dáil as an Independent TD. Sinn Féin supported repealing the Eighth Amendment. Last weekend’s ard fheis voted to amend party policy so that its TDs can support legislation allowing for abortion up to 12 weeks. A second motion calling for Sinn Féin TDs to have a free vote on abortion like Fine Gael and Fianna Fáil was heavily rejected. Ms Nolan explained her decision to quit, saying: “I feel that as a pro-life republican woman that I no longer have a place in this party, which doesn’t recognise or show genuine respect for the pro-life views of members. Ms Nolan said it was “unethical” to force TDs who were strongly opposed to abortion to vote against their conscience. She said TDs were responsible for the laws they enacted and “if a TD votes for abortion they are responsible for all abortions that happen in this State”. Ms Nolan told the Irish Independent she hasn’t decided whether she would contest the next election as an Independent. Her resignation brings the number of Sinn Féin TDs down to 22. Chatbots: your new best friend?